The New York Islanders head into a match up with the Pittsburgh Penguins as a bit of an underdog despite their home-ice advantage. The team’s defense was the hallmark of the Islanders’ season, but their offensive struggles have many thinking the Penguins will be able to simply outscore the Islanders. Additionally, the Penguins have had lights-out goaltending of their own since the return of Matt Murray from injury in December. Can the Islanders find a way to take advantage of home-ice and move on to the second round for the third time in 25 years? These players can help them get there. 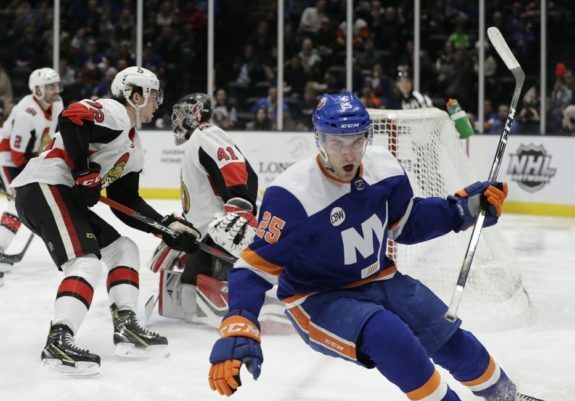 Mathew Barzal can be as dynamic as anyone on the ice, and he’ll have his first chance to show what he can do in the playoffs against his childhood idol, Sidney Crosby. 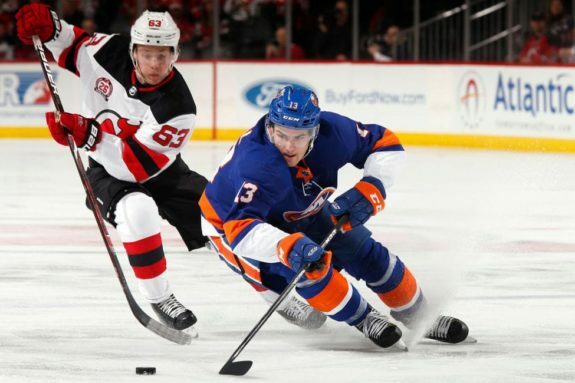 And while many Islanders players saw a drop in production, including Barzal, the 21-year-old will need to prove what made him the Calder Trophy winner in 2018 by finding ways to produce this postseason. Devon Toews’ rookie season couldn’t have been scripted much better. The young defender took advantage of an opportunity to get into the lineup after an injury to Thomas Hickey and hasn’t looked back since. He’s been solid defensively, buying into coach Barry Trotz’s system, but he’s also added another defender, in addition to Nick Leddy, who can skate the puck out of his own end and create opportunities in the offensive zone. With many pointing to the Islanders’ offense as a point of weakness, Toews can be an important factor in this series against the Penguins. What a year for Casey Cizikas. One of the Islanders hardest-working players has thrived under Trotz, more than doubling his previous career high in goals this season with 20. He was quiet during the last two Islanders’ playoff runs in which he totaled four points in 18 games. However, the last time the Islanders and Penguins met in the first round (2013), Cizikas, in only he second season, was phenomenal. During the six-game series, he went 2-2-4 and scored some of the series’ most important goals. If he can continue his amazing season, and even take it to another level, the Penguins may not have an answer for him. 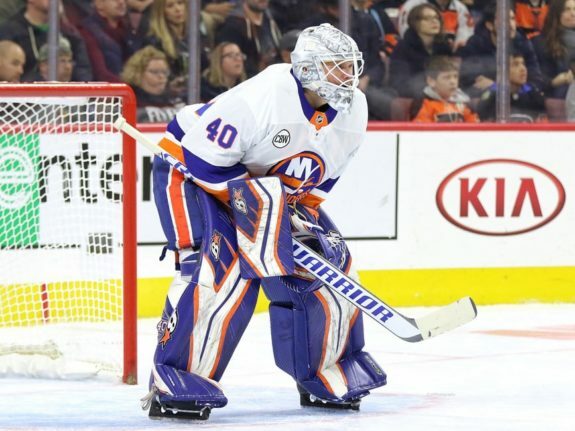 The Penguins’ Murray has had an amazing season since returning from injury, but the bar for goaltenders was set by the Islanders’ tandem of Thomas Greiss and Lehner, the latter of which is expected to start tonight against the Penguins. The 27 year-old turned his career, and life, around in such a short time, proving to be a catalyst for a team in transition. His play throughout the year allowed a young Islanders squad to play with confidence and bailed them out when the structure broke down. A hot goalie can steal a series and the Islanders hope Lehner can bring his magic into the postseason. 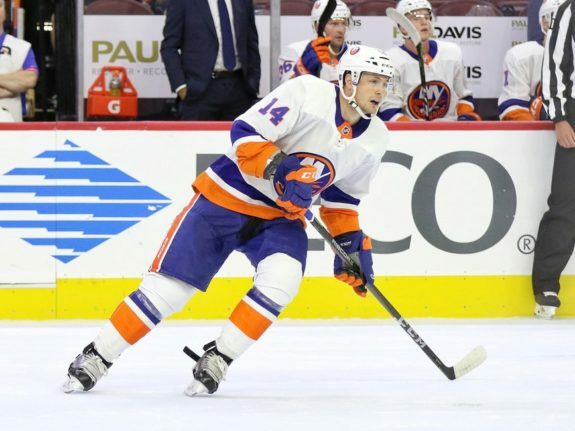 There are a handful of players on the Islanders roster with playoff experience, but none more recent, and with the amount of success, than Tom Kuhnhackl. Though he’s only scored seven points in 47 career playoff games over the last three seasons, he won back-to-back Stanley Cups with the Penguins, learning what it takes to win and understanding his role in the team’s success. Kuhnhackl has been playing on the team’s second line as of late and will have an opportunity to take his game to the next level against his former team.